Time out from feeding to eat. Feed your rats with a balanced and wholesome diet, full of diversity, fresh food, grains and special treats. Find creative and stimulating ideas to give your rats an interesting and enriched environment, both in and out of the cage. To help you understand how a rat thinks and feels, what she is capable of and how you can better understand her behavioural ‘language’. When I first became a guardian to two rats in 1997, I knew very little about them and made so many mistakes. I fed a bland rat food and kept them in far too small an environment, with little cage enrichment. On the plus side they had loads of attention, time out of the cage and fun. They even used to come out to the park with me and the kids. This was before the internet had really taken off, and good information wasn’t widely available. Thankfully, almost 20 years later, I have notched up about 15 years given over in a large part to the excellent care and understanding of the wonderful creature that is RAT. I’ve been guardian to hundreds, rescued and re-homed as many, and they have each individually taught me something about what is a good life for a rat. 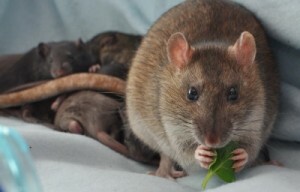 Diet and enrichment are two areas that have had my long-term attention, and I have frequently researched and written about them – and rat behaviour, being intrigued by what our little friends are capable of. You’ll find some articles here, some on Facebook, plus a complete guide to rat nutrition (The Scuttling Gourmet) and an ever growing series of ebooks.